Earlier this April, the Selangor Youth Community (SAY) hosted the state’s very first youth-oriented carnival specially catered to the needs of the local youth community. The inaugural SAY IGNITE (#sayignite2017) was a one-day event held on 1 Apr 2017, with heavy emphasis and focus on Arts and Culture, Entertainment, Entrepreneurship and Sports & Health. The carnival comprised a mini exposition and the much anticipated youth forum, which allowed youths the opportunity to feedback on issues related to their generation. 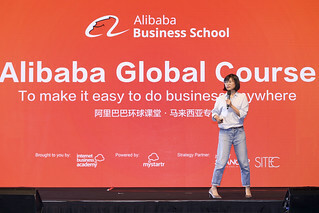 Open to the public, the free event was held at Sunway Pyramid Convention Centre and sponsored by Sunway, a SAY strategic partner, who themselves are very much attuned towards youth development through their education arm and various CSR activities. 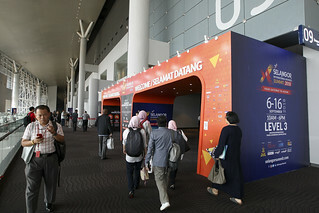 With a sizeable crowd of a few hundred, it was certainly a bustle of of activity, as visitors participated in talks and workshops conducted by SAY strategic partners from the private and public sectors on a variety of topics ranging from entrepreneurship, health and sports to the creative multi-layered world of arts and culture. The jam-packed event featured retail and information booths by aspiring youth entrepreneurs, NGOs, social organisations and more. Visitors were entertained with a range of activities from standup comedy, beatboxing, music performance and freestyle football. The key highlights of SAY IGNITE included a talent competition; a plenary session entitled ‘Bridging the Social Divide’; and the SAY CHAMPION awards that celebrates and promotes successful and promising youth icons in Selangor who have not only contributed in their respective fields but also to the community at large. SAY Founder and Patron, HRH The Raja Muda of Selangor firmly believes that initiatives such as SAY IGNITE 2017 will be the start of a new era for Selangor youth. 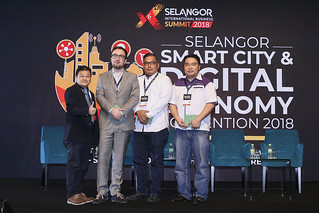 “Selangor is the most diverse states in Malaysia in terms of age, ethnicity and background, partly due to the migration of youths from other states and I want to be able to provide the spark to unite their passion and spirit in creating a dynamic and connected community,” said HRH The Raja Muda of Selangor. “I envision Selangor to comprise a vibrant and self-motivated youth community, churning out talents that can take the world by storm, be it in business, sports or entertainment. I want us to be a role model for other states, and even other countries, to follow,” he further added. SITEC congratulates the success of the SAY IGNITE event, and warmly welcomes and applauds the efforts of the SAY team and HRH Raja Muda of Selangor Sultan Sharafuddin Idris Shah Al-Haj to allow youths the opportunity to discover, develop and finetune their talents and passion with the SAY platform, events and activities. The inculcation of fundamentally sound values towards society building and participation is surely the right step towards the development and excellence of the youths of Selangor, who will soon play an important role in charting and shaping the future of Selangor and the nation. SAY is the brainchild of The Raja Muda of Selangor Duli Yang Teramat Mulia Tengku Amir Shah ibni Sultan Sharafuddin Idris Shah Al-Haj, and formed to realise his vision for the future of Selangor. A non-profit, non-political and non-governmental organisation, SAY aims to become the catalyst and to act as facilitators between the government, corporate sector and the youth community to create a thriving community of youth, by the youth and for the youth.